Most rain barrels include a 4 foot length of 1.5 inch overflow hose to direct excess water back to the ground. 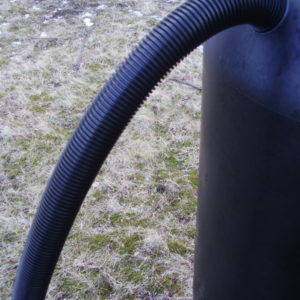 This 24 foot hose is also 1.5 inches in diameter and permits water to be directed further away from the rain barrel and to distant lawns and gardens. 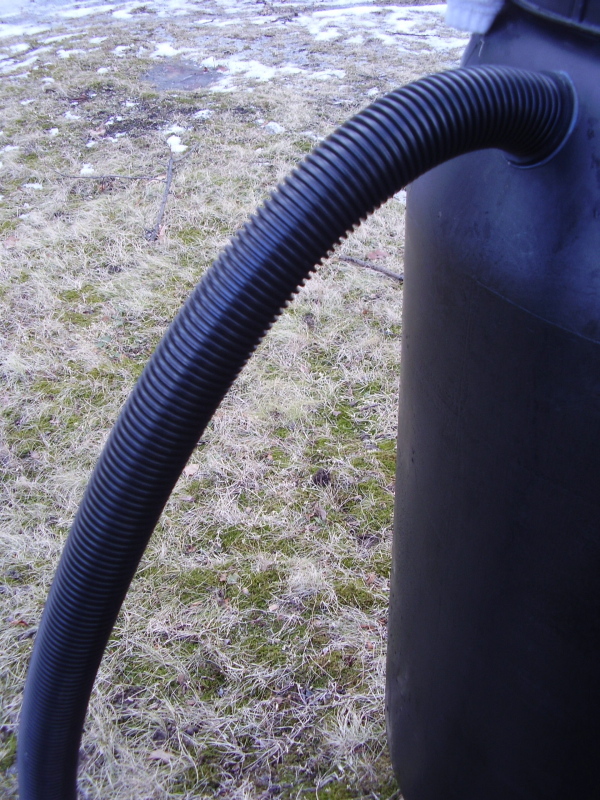 It can also be cut to size to join rain barrel overflow outlets together or used as a substitute diverter hose.